The one thing that infuriates us the most these days is passwords! If you have trouble remembering them or trying to make a completely secure password, then this blog is for you. We are going to try and help you get your passwords under control. Lots of people think they can use one password on multiple websites. This is very dangerous, as once hackers have got your password from a couple of places, they can then try every website and hack into all your accounts. Some people use the simple ‘1234567’, or ‘password’, every year stats come out showing this still goes on! Thinking up a good password, each time you create a new account online can be difficult. Make sure to use the whole keyboard, letters, numbers, capitals, and symbols when composing your password. Try not to use single words, even if you use numbers and symbols to disguise them. As ‘Pp@s$w0Rd’ is still easy to crack. There are few numbers and symbols to represent letters. Using multiple random words in a string can make things harder for the hacker. For example, ‘dogchurchrainbow’ can be easily remembered by mentally having a picture of a dog outside a church with a rainbow. Add in some random symbols and numbers and you really start to make it a great password. If you then add the name of the website you are using into this password, then you will have a different one for each website. For example, ‘D0gF@c3Bo°k(Hur<hR@1n6OVV’. It can be tempting to create a file on your pc, with all your passwords stored in it, this has obvious drawbacks in that if you are hacked that file will be used to access your online life! You could write them down on paper, and then store that in a locked cabinet. However, we are also going to suggest that you regularly update and change your passwords, so it would be a hassle to have to rewrite them all out. Making a memorable password as suggested above may help. A clever, though time-consuming method, which not only allows you to update your password regular but also saves you remembering it each time is to go through the ‘forgot password’ routine. One key to holding them all! One tried and tested method is to use a password manager. These are apps which store all your password in one place, with you using the master password to use it. Some will generate super secure passwords for you and even fill in the logins whilst you browse. One favoured one is LastPass, though there are several ones the market. Google will also store passwords for you, on some models of mobile phone there is a built-in password manager. 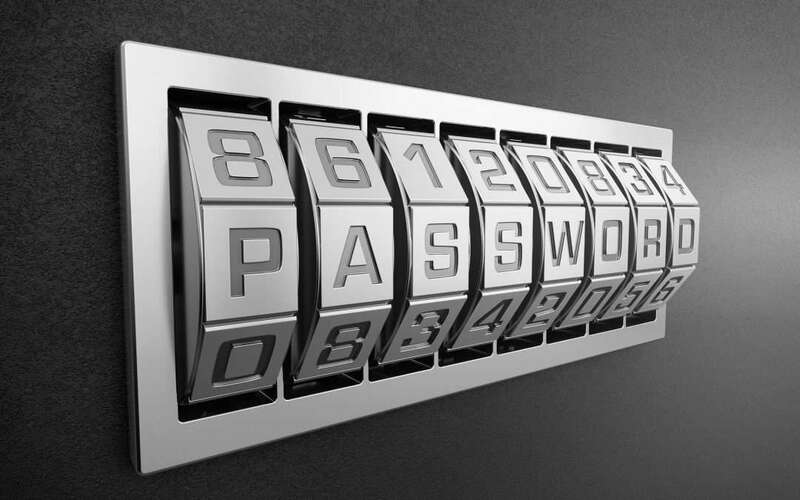 Using a password manager means that you can save the master password in a safe place for your loved ones to use and access your life after death. We will be happy to help you set up passwords for your system and assist you with securing your network against attack, please contact us for advice.